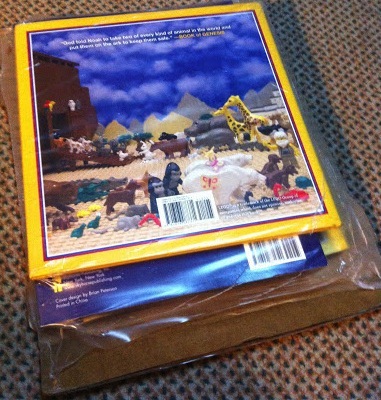 Earlier this month, I ordered The Brick Bible books and a red tricycle for Noah. My husband’s boss was visiting Manila from the US so we asked if he could bring the stuff. I placed my orders on a Monday, they arrived on the address the next day because I chose the One-Day Shipping option, and by Friday night, the items were in my hands. Ordering at Amazon was easy and efficient. It’s a bit different from buying from eBay but is as convenient. This was the first time I ordered directly from Amazon which meant the items I purchased would be coming from Amazon warehouse and not from the sellers. Those are two different things unlike in eBay where you would be buying directly from the sellers. Amazon offered free shipping on the items for Prime members. I forgot where exactly I chose the Frustration-Free Packaging option but I chose that one. I heard about this “greener” option offered by Amazon years ago but it’s only now that I got to see how Amazon packaged the items. It’s true. Frustration-free as the books didn’t come in a big box or excessive packaging, they came wrapped in plastic and with a cardboard to hold them. 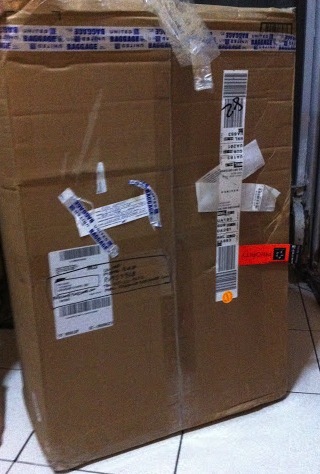 As for the trike which was bulky, it came in its own packaging. It was only in the SFO airport where it was packed in a bigger box–twice its size! I wish more sellers, manufacturers, and companies think about how they package their items. Less plastic please.